Security agencies previously enforced a no-fly zone with a radius of 300 km, but it will be extended to 400 km this year, covering cities such as Jaipur iand Agra. 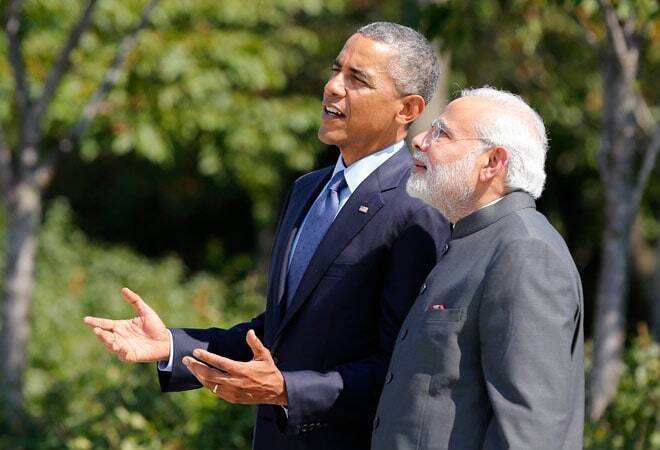 Delhi will turn into a virtual fortress for US President Barack Obama's visit this weekend, with heightened security measures, including an extended no-fly zone, to protect the world's most powerful leader. Prime Minister Narendra Modi, Obama and other dignitaries from the world's two largest democracies will attend India's Republic Day celebrations on January 26, which include a military parade and display of Indian weaponry. Security agencies previously enforced a no-fly zone with a radius of 300 km, but it will be extended to 400 km this year, covering cities such as Jaipur in the west, and Agra, home to the famed Taj Mahal, and extending to the border with regional rival Pakistan. "The no-fly zone has been extended around Delhi, no civil aircraft can take off or land during that time," said one Indian security official, who asked not to be identified because of the sensitivity of the security details. While a no-fly zone bars commercial flights during the two-hour procession the programme wraps up with a fly-past by military planes. "There is no concern about security," said home ministry. But stakes are high, as Obama's visit comes a month after Pakistan Taliban killed 132 people in a school in Peshawar, forcing India to issue a nationwide alert. Clashes across the India-Pakistan border have intensified, along with concerns that militant commanders in Afghanistan and Pakistan have renewed their focus on India as foreign forces leave the region. Late last year Al Qaeda set up an Indian Subcontinent branch, and other militants are looking to Islamic State for inspiration. India blames Pakistan for attacks such as a 2001 assault on parliament and the commando-style 2008 Mumbai rampage that killed 166 people. A cartoon caught the slightly nervous mood, showing Uncle Sam and an Indian soldier pointing across the border, with the punning caption, "O, bam abhi nahi," or "No bangs now." On-the-ground security has been beefed up, with extra police patrols and checks at metro stations. Snipers will be deployed at more than 70 high-rise buildings around central Delhi, the security official said. Obama will be accompanied by First Lady Michelle Obama on his three-day trip and is expected to travel in 'The Beast', his heavily-armoured limousine. They plan to tour the Taj Mahal, about 200 km south of the capital. "A team of 40 US security experts has already inspected the Taj Mahal", a police official said. Newspapers showed images of US officials patrolling the river behind the monument.